Alternative business structure (ABS) LegalZoom Legal Services is being sued in the United States as part of a claim that its American parent company is engaged in the unauthorised practice of law (UPL), Legal Futures can reveal. California-based LegalForce, which describes itself the largest patent and trade mark filing law firm in the world, claims that LegalZoom is using ownership of the ABS as a way to offer legal advice in the US. While the concept of UPL does not exist in the UK, the notion of unregulated legal services providers does not exist in the US. Only licensed lawyers who are members of their state bar are permitted to deliver legal services. LegalZoom is not a US law firm, though it has long been dubbed the best-known legal brand in America. It started out as an online legal document provider, and then introduced access to third-party lawyers through subscription plans. As part of the third stage of its development, it launched an ABS in England and Wales and acquired Yorkshire law firm Beaumont Law. We reported in October that the ABS is anticipating turning a £2.1m loss into a “sizeable profit” next year in the wake of heavy investment. LegalForce, which employs a solicitor to run a London office as its gateway to Europe, is suing LegalZoom US and UK, as well as its three co-founders, along with the US Patent & Trademark Office (USPTO) and the state bars of California, Arizona and Texas. The claim said its goal was “to expose the wilful and systematic acts of unauthorised practice of law, false advertising and unfair competition by LegalZoom with respect to preparation and filing of trademark applications before the USPTO, and to establish that either licensed attorneys should be able to compete on an equal playing field”. It said this would mean allowing non-lawyers to employ lawyers and for ABSs to be able to operate in the US before the USPTO. Alternatively, it sought to stop LegalZoom from these activities and to claim damages, including from the three bar associations for not allowing others to operate as it claims LegalZoom does. The claim alleged that, in various recorded interviews, LegalZoom CEO John Suh “falsely implied… that it can provide legal services in the United States” after becoming a law firm in the UK. 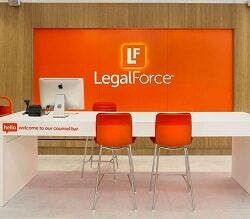 However, LegalForce said LegalZoom does not follow US bar rules, such as around client accounts and conflict checks. LegalForce said it also applied for two trade marks through LegalZoom to test the service and that it received legal advice. In a statement, Kenneth Friedman, LegalZoom’s managing counsel, said: “LegalZoom follows all legal requirements and applicable ethical regulations. We look forward to defending ourselves and are confident we will prevail. The company did not answer a specific question about the ABS part of the claim. 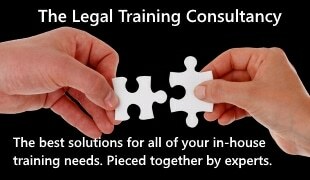 Craig Holt, the founder of QualitySolicitors, has worked for LegalZoom since 2014. As well as CEO of the ABS, he is LegalZoom’s global chief product officer.